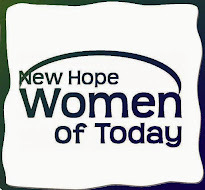 New Hope Women of Today: Don't miss this Feb. General Meeting on 2/22/16!! Don't miss this Feb. General Meeting on 2/22/16!! We will have a representative from Breaking Free on hand to receive our check and hygiene supplies we gathered throughout the year. Many, many thanks to Teddy O for making this a successful project.